Are elective c-sections safer than vaginal births? Cesarean sections, although considered very safe and almost routine these days, represent major abdominal surgery with a painful recovery period. American obstetrics has very much moved in the direction of recommending c-sections whenever a minor (potential) pregnancy or birth complication crops up, and some women even have elective c-sections. There is no doubt that cesareans can be life saving, but are they safer than a vaginal birth in normal situations? Infection of the incision site. Heavy blood loss, and the requirement of a blood transfusion. Maternal death. This is very rare, at around 6 in 100,000 according to several sources, but the rate is is still higher than for low-risk vaginal birth, by three times according to several sources we looked at. Headaches persisting in the period following the c-section. This is linked to anesthesia. And for babies, the risks are significantly more scary. 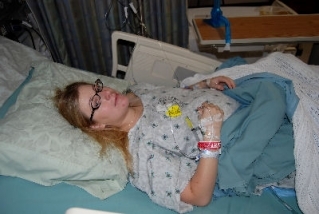 They include the baby being injured during the delivery while an incision is being made, premature birth (since elective c-sections obviously take place before the mother went into labor naturally, it can even be argued that all elective c-sections result in premature births) and the need to stay in the NICU due to prematurity. In addition, c-section babies have a higher rate of respiratory problems because the fluid that resided in the lungs during pregnancy is not expelled naturally, as it would have been during a vaginal birth, which involves squeezing through a tiny space. C-section babies may be more vulnerable to infection too, because maternal bacteria do not get the chance to colonize the baby during delivery, as with a vaginal birth.